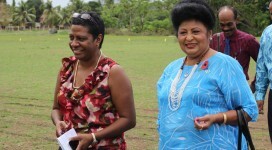 The new Assistant Health Minister, Honorable Veena Bhatnagar will launch an event focused on improving children’s health across the country in Labasa tomorrow (Friday 17th October). 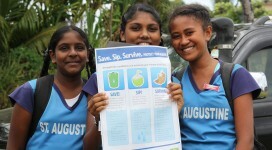 The official launch of Save the Children’s annual Race for Survival has kicked off in Suva today with a clear message to the country to ‘Save, Sip and Survive’ in the current dry weather to protect your health. 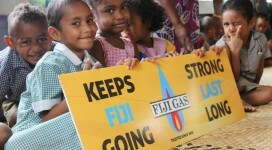 The 35 children in Kalekana’s community run preschool, outside Lami Town, will now have access to safe toilet blocks after the community secured a $3000 donation from Fiji Gas. 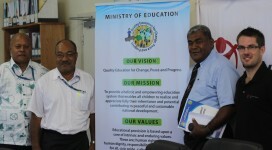 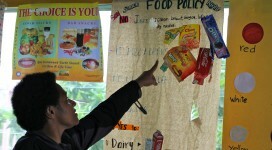 The resilience of school communities and preparation for future disasters is a top priority for the government of Fiji with the recent endorsement of a new policy this week. 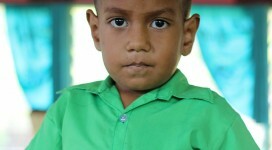 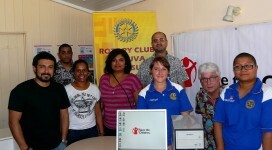 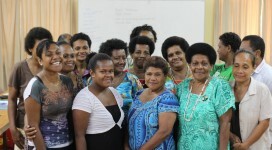 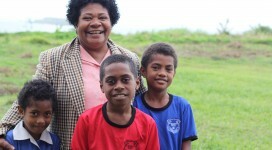 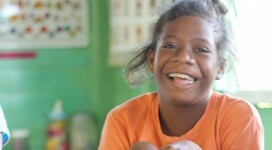 A new project by Save the Children Fiji is equipping communities with the ability to access healthcare in their own homes.